I have a fun job. I’m a Software Engineer at Safari Books Online. I focus on automating our back-end infrastructure. I also experiment with prototyping hardware architectures. My boss, Clark Hartsock, loves low powered RISC boards for data crunching. 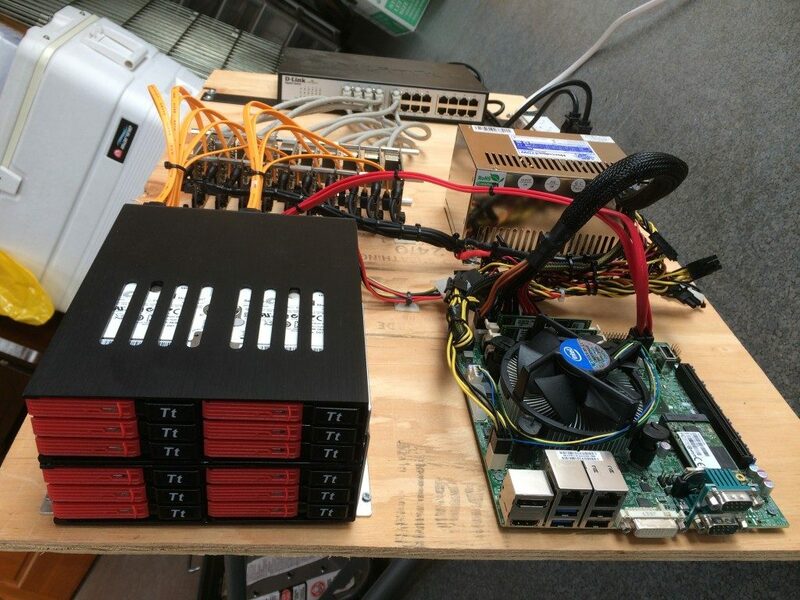 We built a 12 Terabyte 10 nodes cluster to compete with our older Atom based stack. Clark choose the hardware based on price, spending less than $2000 on this machine. 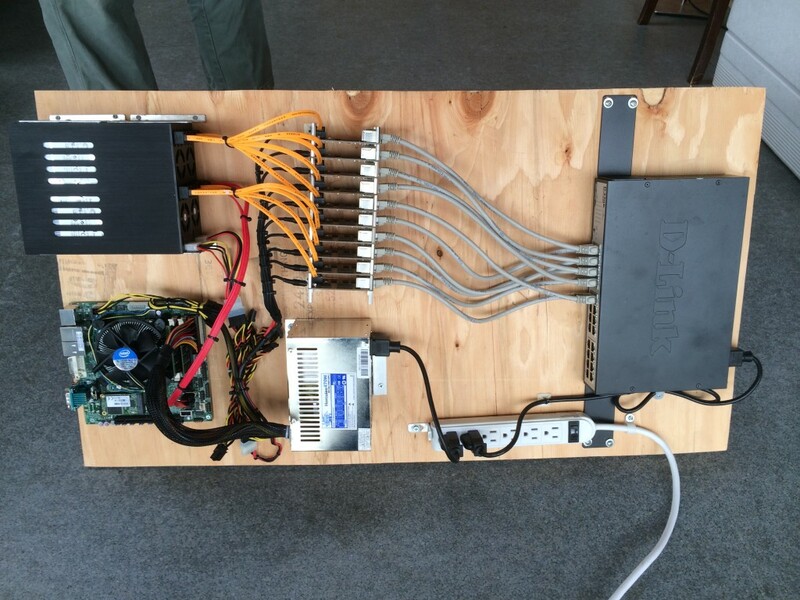 The goal was to maximize Hadoop power for price. We created this prototype. Mounting everything to wood makes carrying around the cluster much easier.